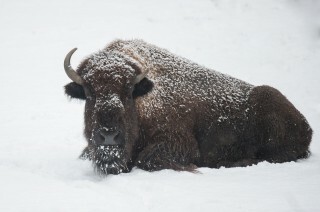 In November 2014, a work assignment took me to Colorado’s Rocky Mountain Arsenal National Wildlife Refuge, a former U.S. Army installation that underwent environmental cleanup in 1992 and now hosts bison, coyotes, elk, prairie dogs, and more. 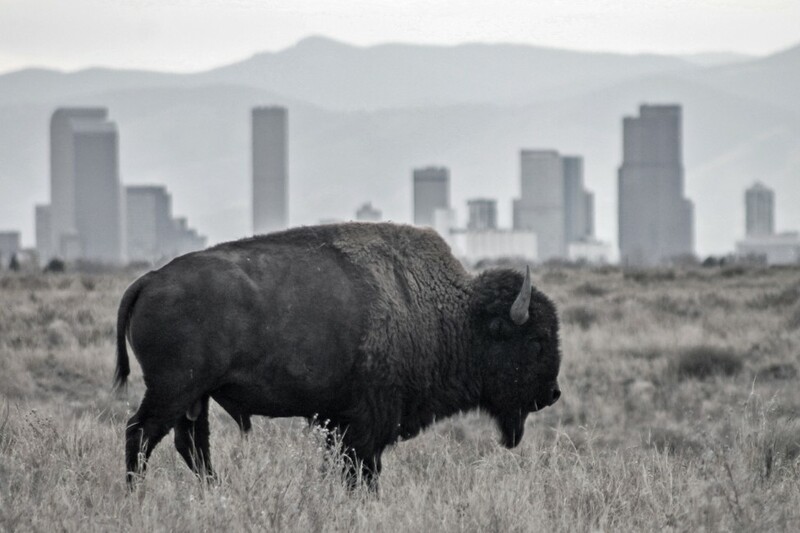 The refuge is only eight miles from downtown Denver, which creates a unique backdrop as visitors pause to admire the mighty bison which frequently wander across the road. Of course, I couldn’t resist this opportunity to make a photograph that illustrates this juxtaposition of urban and wild. This week, the bison at Rocky Mountain Arsenal and their cousins across the country received some good news from Washington, D.C. The U.S. Congress passed the National Bison Legacy Act, which officially designates bison the National Mammal of the United States, celebrating its special place in our national heritage. 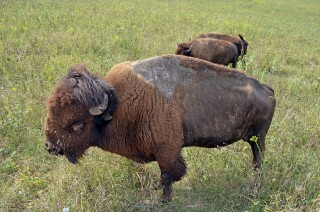 Bison are the world’s first conservation success story. Once numbering in the millions and ranging from Oregon to New Jersey, bison were hunted to approximately 1,000 individuals by the turn of the 19th century. In 1907, President Teddy Roosevelt and the American Bison Society began a concerted effort to save the species by shipping 15 animals by train from the Bronx Zoo to Oklahoma’s Wichita Mountains Wildlife Refuge. 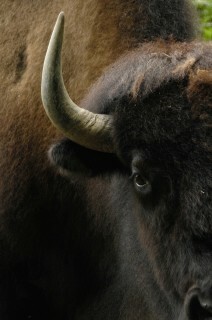 Today, bison live in all 50 states, on wildlife refuges, national parks, tribal lands, ranches, and zoos. The law making bison the National Mammal is a validation of the century of hard work of bringing an American icon back from the brink. I like this photograph because it reminds me of how bison exist in modern times, as an official symbol of the U.S.: strong, resilient and enduring. Totally agree, perfectly executed photo!